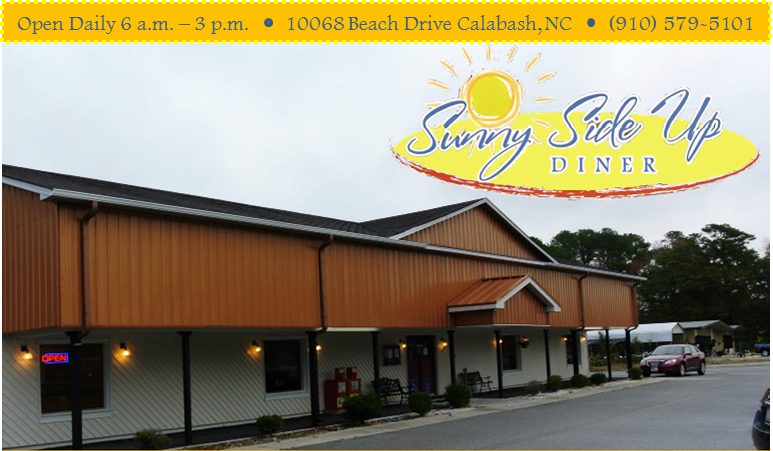 At Sunny Side Up Diner located in the heart of Calabash, North Carolina, the most important thing to us is that the people that walk through our doors feel as if they are guests in our home. We want you to feel warmly greeted as you enter, enjoy fresh quality food and drink in a comfortable setting, and hope that upon you leaving you will want to return. Overall, we want you to feel blessed here from door-to-door. If you have any questions, we'd love to hear from you! Check out our contact page on how to reach us.